It’s approaching that time of the year when little ghosts, monsters or vampires will come knocking on your door in hopes of receiving candy. Since no one wants to be tricked, it’s better to receive these seasonal visitors accordingly, by lighting a spooky path for them directly to your porch and their source of treats. The problem arises of course, of how to exactly light that path — what type of Halloween lights to use, of whether or not to employ candles and what sort of bulb fits best inside a carved pumpkin. Preparing for Halloween can be great fun, we get to decorate our house with skeletons, spider webs and all sorts of cardboard ghostly apparition but as responsible adults, we must also consider how safe all these new additions might prove, or how much they’ll affect our monthly budget. Of course, we shouldn’t neglect Halloween as an occasion to impress friends and neighbors with our decorating abilities. The neighborhood gets all the jollier (or creepy-er as is the case) from a well decorated, well lit up house. The Halloween decor is intended to look best in night-time and even the most elaborate set-pieces won’t make any impression if they don’t ravel in some smartly placed lighting. 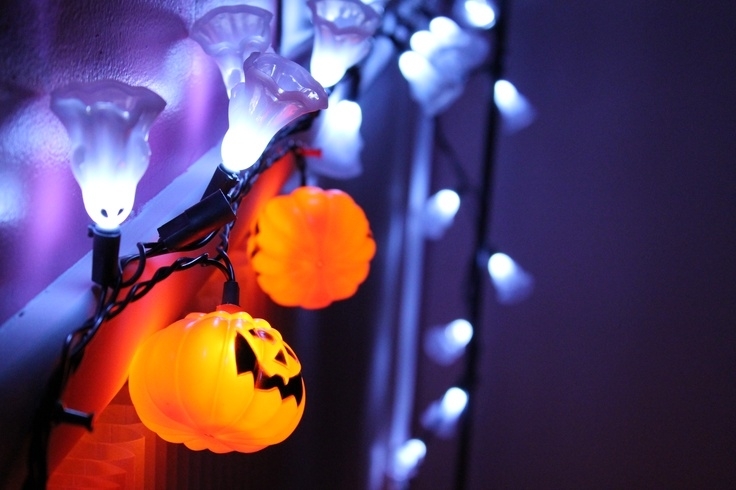 We’ve consulted the best Halloween lights reviews to give you a couple of pointers to consider when browsing what’s available for sale. It doesn’t exactly make a good impression if one of the neighborhood kids trips on an obscured piece of decoration or if the house suddenly goes dark followed by the smell of burnt fuses, so the first thing to consider is safety. It’s highly recommendable that the path to the door stays well lit, even if this might subtract from the eerie effect some people might want to go for. It should be considered that some trick or treaters could be barely out of kindergarten and not always accompanied all the way to the front door by a parent. Regular path lights could be used and set to an appropriate intensity, but adequate jack-o-lantern placing can make this unnecessary. By this we mean one every 3 to 4 feet, with enough of the pumpkin carved to ensure that the electrical bulb within does its job properly. 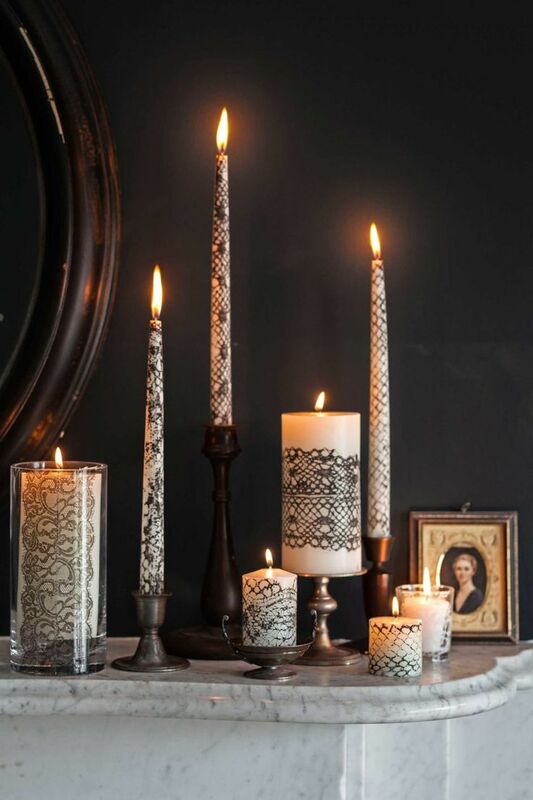 This can be supplemented with string lights or spooky lanterns placed at shoulder level. One thing that definitely shouldn’t be employed is candles since it could prove a high risk for children that wear paper costumes. Some people like to overdo on the decorations, or simply don’t have the most reliable outlets servicing their front yard. To ensure that nothing gets fried under the added load, it would be a good idea to mind the power consumption (expressed in Watts) when buying for new Halloween lights. A good way to circumvent this would be to employ LED lights, which only put minimal strain on the outlets, or going for at least a few battery operated light strings, although the last ones might not be very economical overall due to the high price of batteries. Speaking of LEDs, they are getting more and more popular as festive lights in recent years because of their reliability and convenience. Besides low power usage, LEDs tend to be more weather resistant than their incandescent counterparts and don’t really heat up, which makes them a lot safer around paper or foam decorations. While it had a run for its money in recent years, the most popular color for Halloween remains the traditional orange. It reminds of the hue given out by a jack-o-lantern with an actual candle inside and fits well with most decorative themes. Through direct reference to pumpkins, orange is meant to evoke the autumn harvest as well as fallen autumn leaves. Within a harvest theme, it can be used alongside yellow, the color of hay bales. Local orange can also give a good effect in an eclectic composition since it goes well with ghostly whites and light blues. Where it falls, however, is in association with violet, another popular color. Those going for a violet light dominant should use orange only sporadically, mostly around the iconic Halloween pumpkins. Violet and green came to suggest the undead, mostly due to how these are depicted in popular culture. They fit well to a spooky theme with vampires, zombies, creepy graveyards and crypts. Ghosts remain white or light blue and make for an eye-resting spot of cool color when used. White is also good for creating an eerie fog effect if covered by a transparent cloth and can prove a money saver since it can be used with both spooky and harvest themes as well as for Christmas decorations. A good way to get the best value out of the Halloween lights is by going for colors that can be applied to multiple settings. This also gives more freedom in deciding the theme for next year, since some colors can be restrictive. White and yellow can be used for both Christmas and Halloween, for example, but violet can’t be used for much else than a horror setting. Clear lights can also make it easier to change color according to preference. It’s enough to place some transparent colored cloth over them, although this isn’t always the best solution for the outdoors. These are generally string lights or lanterns shaped into various context-appropriate forms: skulls, zombie heads, bats and the likes. They can be very fun to buy but also a bit expensive and generally not as bright as more traditional lights. Novelty lights add a lot of character to any set if placed in a relatively central position, to ensure good visibility. Depending on the model, they can make either good or bad illuminators, so it’s best not to rely on them for providing much more than a spooky effect. String lights are best used for adding letters or for describing contours. They make for a good way to place emphasis on various decorations or points of interest.